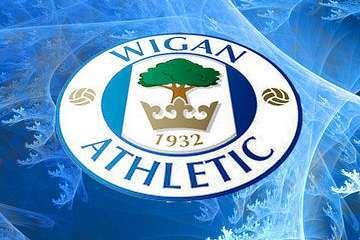 Wigan v Newcastle United match preview | NUFC Blog. Archive for tag: Wigan v Newcastle United match preview. Wigan - Coming good just in time? Referee: Mike Dean (The Wirral Whistler). Hmm, well despite the large difference in the Magpies’ and the Latics’ respective league positions, this could well be an interesing game. Roberto Martinez and Atletico Wigan’s progress has followed a fairly similar pattern to that of last season, ie staring into the abyss most of the time, then finally pulling themselves together for a string of stylish and surprising results which look like pulling them out of the mire at the eleventh hour, well they would if fellow strugglers, Queen’s Park Rangers hadn’t decided to pull off one or two surprising results of their own as the Premiership season edges towards it’s denouement. The catalyst for this change in form seems to have been a switch from what has looked like a 4-5-1 formation earlier in the season, to a highly offensive Cruyffian style 3-4-3 formation from Señor Martinez. Of course, our Silver Supremo, Alan Pardiola, has been on a similar road to Damascus recently, switching from his old 4-4-2 to more attacking 4-3-3 which has reaped remarkable dividends with the electrifying form of players such as Hatem Ben Arfa and new boy, Papiss Cisse, leading the way.